"Just when you'd thought you'd seen about everything on Main Street, up pops something so incredibly different and unexpected that the experience is, well, worth writing about. 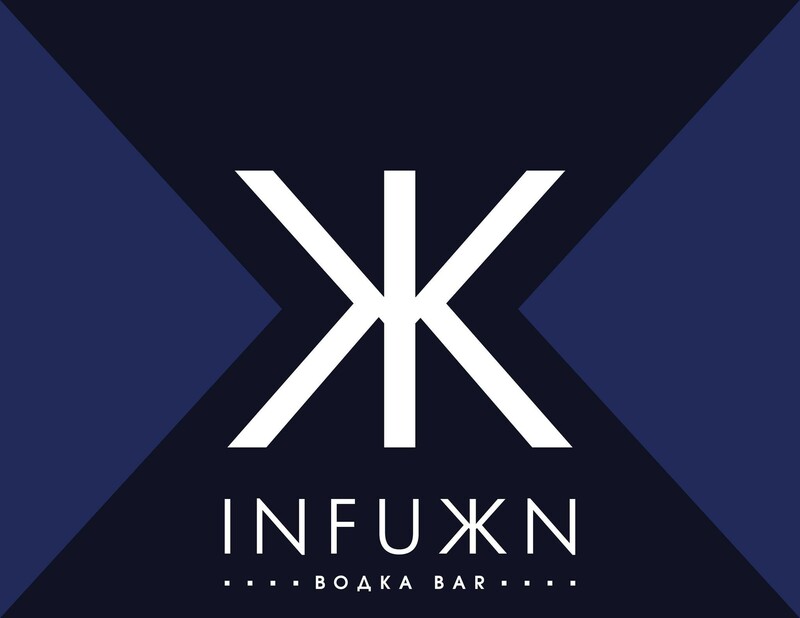 The Infuxn (Infusion) Boaka Bar has opened at 530 S. Main St. Boaka is Russian for vodka. The woman who runs the place, Lena Olson, is from Russia. The food that she is serving is authentic. It's based on recipes she obtained from her grandmother. Who would have ever guessed that a hip Russian vodka bar would open in one of the oldest structures in downtown Joplin? I dropped by the place with a friend on Wednesday to check it out. First, this place is not a restaurant in the traditional sense. Nor is it a bar. It's an upscale lounge and its cosmopolitan atmosphere achieves that quite nicely. The modern interior was designed by Corner Greer Architects of Joplin. It's shades of gray, white, metallic and glass, with colorful accent lighting. So, if you want to look good in this place, wear black or maybe red. Make sure to check out the vodka bank, which displays hundreds of bottles of vodka behind glass doors. At the bar, there's a frozen drink rail. There's also a VIP area. Since I'm more of commoner than a VIP, we sat at the rear of the lounge in some low-slung chairs. We ordered Moscow Mules for $8 each. These drinks are made with vodka, ginger beer, fresh lime juice, and cucumber and lime. They are served in a copper cup that keeps the drink very cold to the very end. The food comes on a small plate. We ordered the crispy pilmeni, a mixture of beef and pork inside five crispy dumplings, for $6. It's served with a tzasiki sauce. We also ordered the small potato pancakes that are topped with sour cream, crumbled salmon and dill for $10. They were both quite tasty. Our waitress, I think her name was Megan, was helpful in explaining and recommending foods and drinks to try. She brought out a sample of a soup that was on the menu that day. It's called solyanka. It's served in a meat broth. The ingredients include chopped onion, diced tomato, tomato paste, and any combination of chopped meat. That would include cold cuts, chicken and even hot dogs. While eating this soup, I kept detecting little green chunks that appeared to be either okra or squash. They were actually chopped dill pickles. We also tried the stuffed blini for $10. This was chicken and spinach wrapped in what appeared to be a crepe. It was smothered in a vodka sauce. We closed a terrific evening with a hot toddy and a Russian coffee for $6 each. Olson, who owns the place with her husband, Les, told me that she will be serving borscht this week. I have had borscht before, but I don't think it was authentic. I certainly want to give that a try. I was told that borscht in Russia is served with a shot of vodka. If I did that, I would have to have two bowls of borscht. Infuxn has opened in the historic Orpheum Theater building. This building was built in 1891. From 1912 to 1922, it was the Ideal Theater. It was later converted to the Orpheum, which was in operation through the 1950s. The Orpheum is said to be the first theater in Joplin to feature a talking picture show. Now, it features a Euro-style bar that is unlike any other in Joplin."